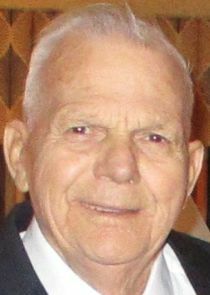 Paul E. Tanner Sr. 83, of Weedsport, a loving husband, father, and grandfather, earned his angel wings on Saturday, December 22, 2018 at his home. Born January 28, 1935 in Mentz, Paul was the son of the late Edward and Helen Davis Tanner. A veteran of the US Marine Corps, he was retired from Allied/LCP Chemical. Paul enjoyed woodworking, wintering in Florida, and watching classic Western movies. An avid fisherman and camper, he was a member of the Get Aways Campers Club. His favorite pastime of all was spending time with his family and his beloved dog, Shadow. Paul is survived by his wife of 63 years, Linda Green Tanner; four daughters, Lynn Dewine (with Steve Johnson) of Penneville, Paula Jerome of Auburn; Lorraine (Philip) Grassi of Weedsport; Penny Jones (with Brian Wilkinson), of Marcellus; two sons, Bruce (Tammy) Tanner of Clay, and Paul (Gabriela) Tanner Jr. of Virginia; 13 grandchildren and 11 great grandchildren; two sisters, Darlene (Von) Kensinger and Deborah Snyder, both of Port Byron; three brothers, Carl (Deborah), Kenneth and Keith Tanner, all of Port Byron; and several nieces and nephews. Paul was predeceased by 7 brothers and sisters. Funeral Services will be held, Thursday ,December 27th at 7pm in White Chapel Funeral Home, 2917 Erie Drive, Weedsport, NY. Calling hours will be held from 5-7pm prior to services. In lieu of flowers, contributions in memory of Paul Tanner may be made to either the American Heart Association or the American Cancer Society.